Nearly four years later that device is no longer part of their business, but the company itself has more than lived up to the headline. 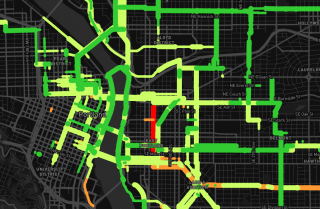 PBOT will install 200 sensors to gather more data about how streets are being used. 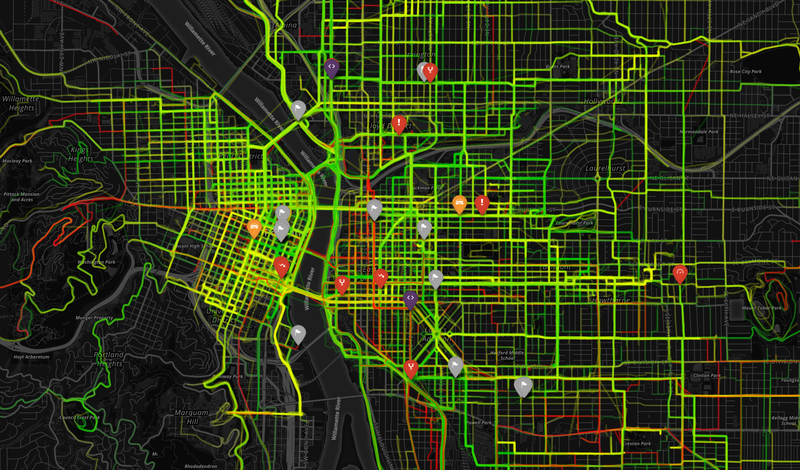 Portland’s bike planning is about to get smarter. The bike lane gap at NE Lombard at 42nd, where Martin Greenaugh died in December. 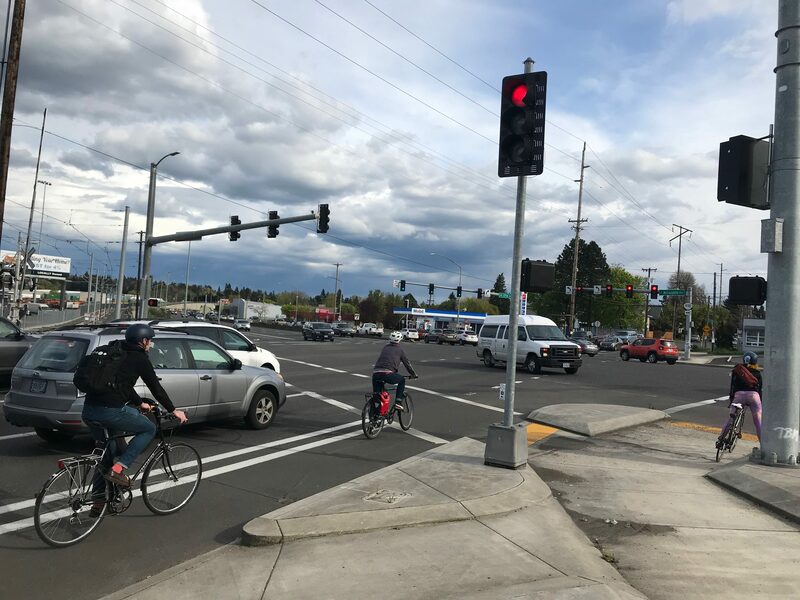 For the first time, BikePortland’s reporting has been chosen by the Society of Professional Journalists as some of the best from small newsrooms in the Northwest. 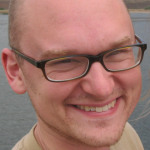 In the annual awards announced Saturday, Jonathan’s December report about the circumstances around the death of Martin Greenough (“Why would anyone ride on that scary stretch of Lombard?”) took first place for general news reporting in the five-state contest among news organizations with 10 staff members or fewer. Off-peak stress levels on the left, peak-hour on the right. 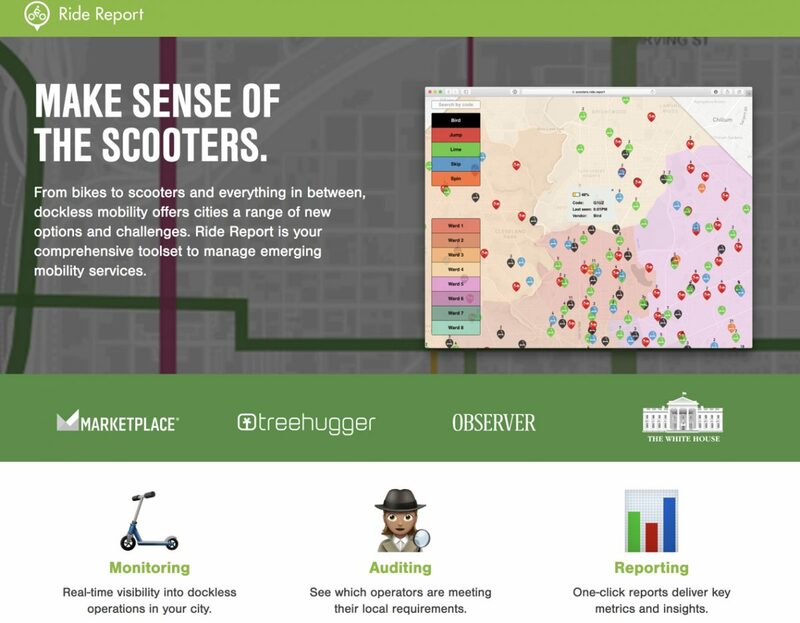 Ride Report, the locally based mobile app that’s trying to bring new insights into bike planning by making it much easier to estimate stress levels and count bikes, is up and running. 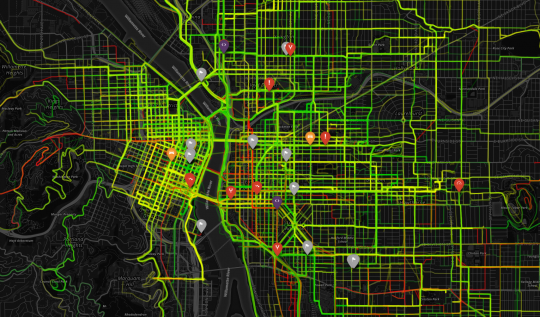 To celebrate the release this week of their free iOS app (Android is in the works), the Ride Report team gave us the keys to their internal map so we could take a look at some of the interesting details they’ve already turned up about biking in Portland. Left to right: Michael Andersen, Mychal Tetteh, Noel Mickelberry, William Henderson and Chris Smith. 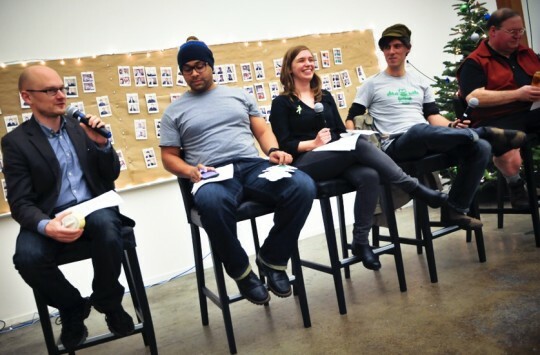 The BikePortland Podcast has returned with a vengeance. data yet to draw conclusions. 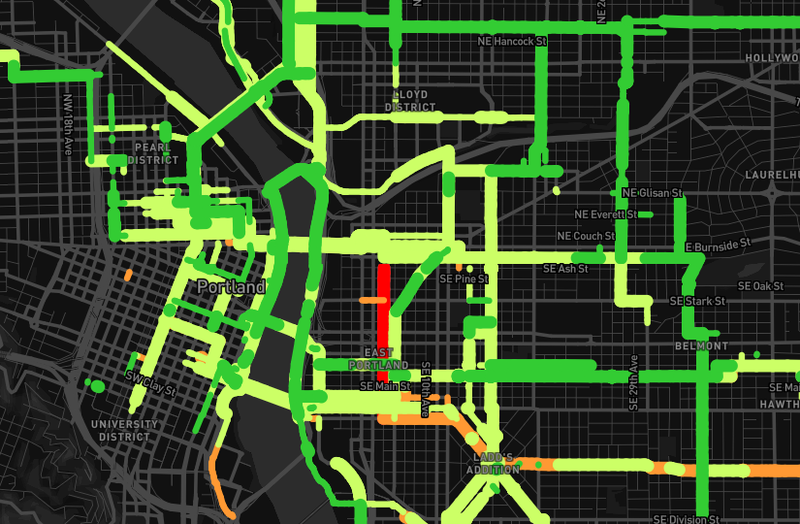 Everybody who bikes in Portland has opinions about the best and worst streets to bike on. But there’s no clear way to combine those opinions into the sort of information that officials can actually use. 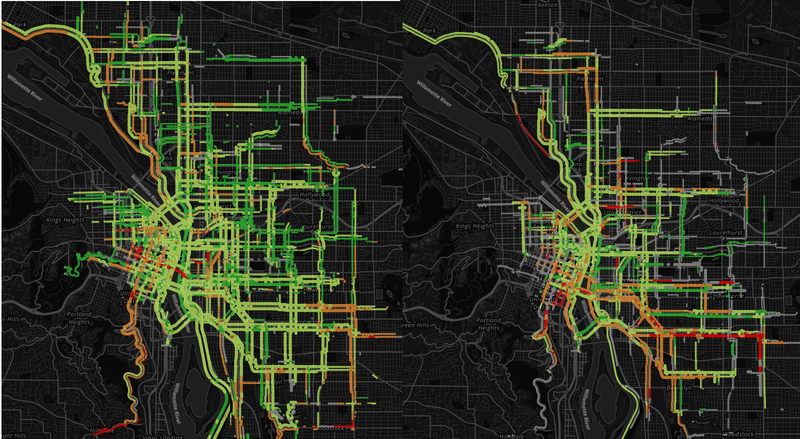 Enter the new mobile app that’s currently available only in Portland: Ride Report. Launched as an iPhone app this week (with an Android version in the works), Ride Report provides an extremely simple way for users to answer a single question about each bike ride they take: Thumbs up or thumbs down? 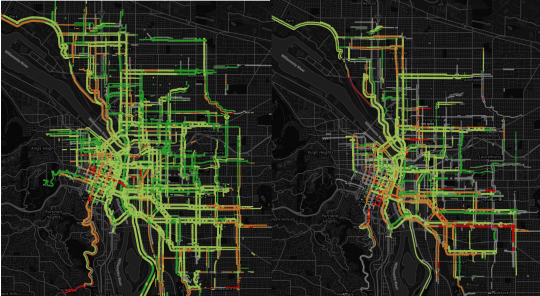 This map of stressful and low-stress rides was built from some of the 12,000 bike trips logged by beta testers of Ride, a forthcoming mobile app from Portland-based Knock Software. The company hopes to scale up and create the nation’s first large user-generated database of bikeway quality. 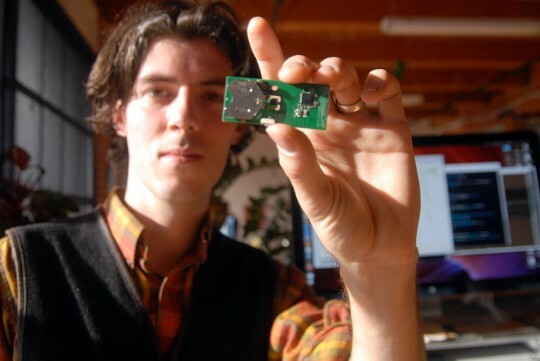 Knock Software founder William Henderson with a matchbox-sized device similar to the one he’s developed that could sell for $50, last for two years and count every bike that passes by. A three-person Portland startup that hit a jackpot with its first mobile app is plowing profits into a new venture: a cheap, tiny device that could reinvent the science of measuring bike traffic — and help see, for the first time, thousands of people that even the bike-friendliest American cities ignore. 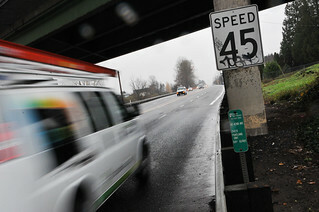 Tomorrow, Portland’s city council will consider a proposal to become their first client.